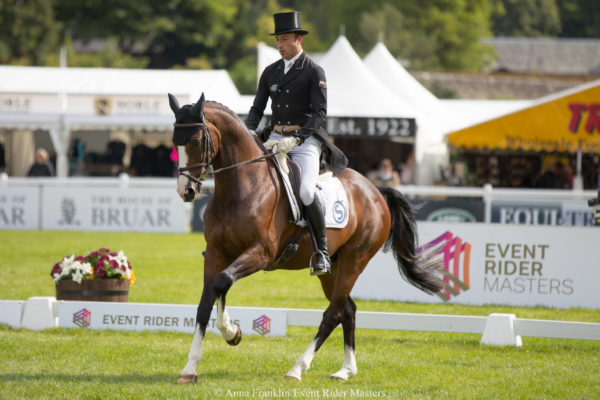 Event Rider Masters (ERM), the equestrian Eventing series launched in 2016, today announced significant increases in their television distribution figures for the 2018 season, following their annual independent media audit carried out by SMG You Gov. Having a significant impact on Southern Hemisphere viewing figures, 6 New Zealand riders made 22 appearances across the six 2018 ERM series legs including one from NZ-based Clarke Johnston. Tim Price’s 3rd place podium finish in the Series overall delighted viewers from New Zealand with a much-increased Social Media interaction from the country after his repeated series successes. ERM’s total dedicated television audience showed a massive 175% rise from 687,000 viewers in 2017 to 1,890,944 in 2018, with a major increase in Asia thanks to new broadcast deals in India, China and the Far East. The total number of hours broadcast globally on television rose from 965 to 1,300 hours in 2018. In New Zealand alone ERM enjoyed 49 hours of broadcast on NZ channels. Sponsors and host venue partners gained huge benefit from the increased television coverage, as the series generated a total of 1,135 hours of branded exposure across the season, up by 64% on 2017. ERM Sponsors enjoy an average of 10 minutes brand exposure per hour of broadcast. The number of people reached by ERM across multiple digital platforms also grew from 1.01 million in 2017 to 1.9 million. ERM’s digital fan base continue to prove themselves hugely attractive to sponsors, demonstrating higher than industry average engagement rates across all social media platforms and consuming over 100,000 hours of online video content. Commenting on the latest figures Jim O’Toole, CEO of ERM said “This excellent growth in both linear television and digital distribution audiences reflects the quality of the horse sport we cover, with most of the world’s top 20 riders competing regularly in our series. The presence of World and Olympic champions and their horses is key to our core offering of world class performance sport. Our ongoing exploration of innovative methods for both television production and distribution is paying off. Our strategic commitment to creating multi-faceted social media content to complement our many hours of live stream broadcast has driven the growth of our digital fan base and their engagement.